All our products are fullfilled by Amazon, relax to shopping. Any trouble please contact us to get a pleased answer. 1:Can contain 6 test tubes or cocktail cups whose diameter is less than 2.6 cm/1.02 inch. 2:Suitable for laboratory, bar, exhibition, family party and other special festival. 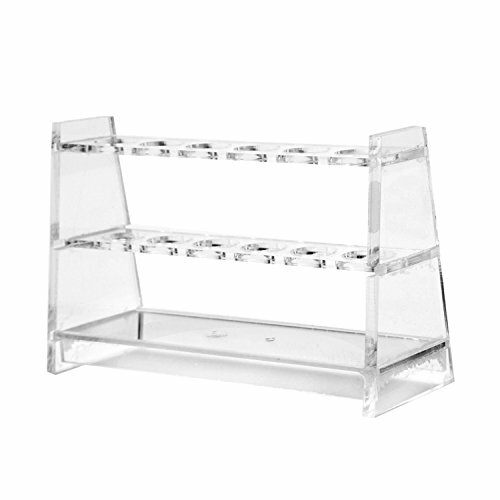 3:Made of acrylic, clear, glossy, no miscellaneous points, quite elegant. 5:Sturdy construction, strong impact-resistance, non-toxic and tasteless. If you have any questions about this product by Burry Life Science, contact us by completing and submitting the form below. If you are looking for a specif part number, please include it with your message.